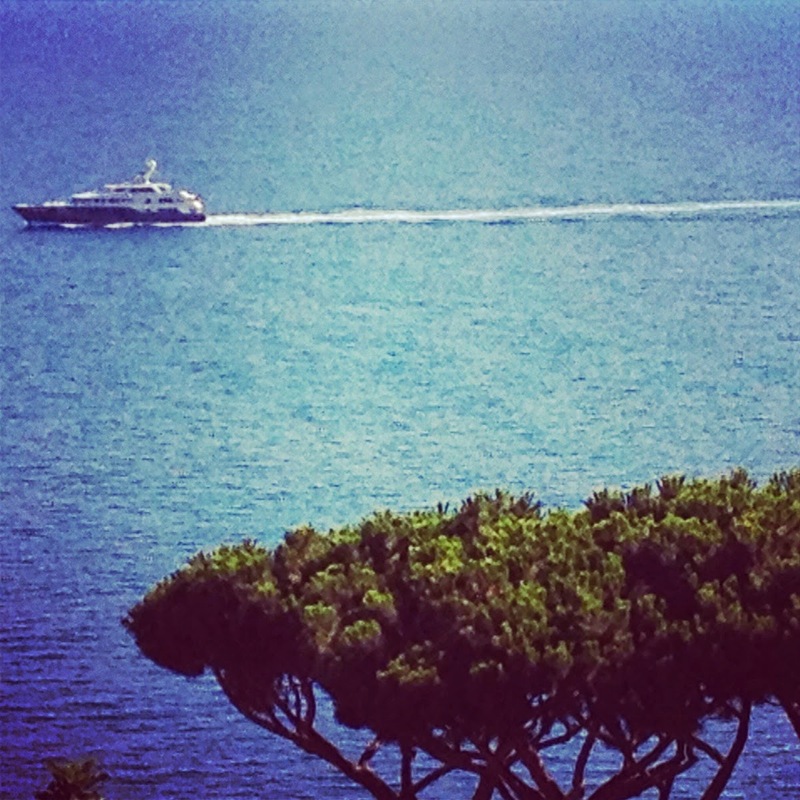 To find accomodation in Ischia shouldn't be that difficult. The island is very well prepared for tourists and there are many hotels. David and I booked over airbnb and are really lucky we did, because we found the lovliest Bed and Breakfast and that for a reasonable price. The B&B La Cycas di Giannina lies between Ischia Porto and Casamicciola Terme along the old road on the hill (we had the best view over the sea from our room) and our host Isabella was very caring and helpful. She answered all our questions with patience and gave us many great tips for the island but most importantly she made the best breakfast which filled us well into to the afternoon every day (She is my personal Queen of Cakes! ;) ). Another advantage is that the B&B is close to the port in Ischia Porto. Most probably you'll arrive via ferry from Naples or Sorrento (unless you can afford to get there via helicopter which might be an alternative as well ;) ) and probably won't like to drive for another 30 minutes to an hour to get to your final destination. 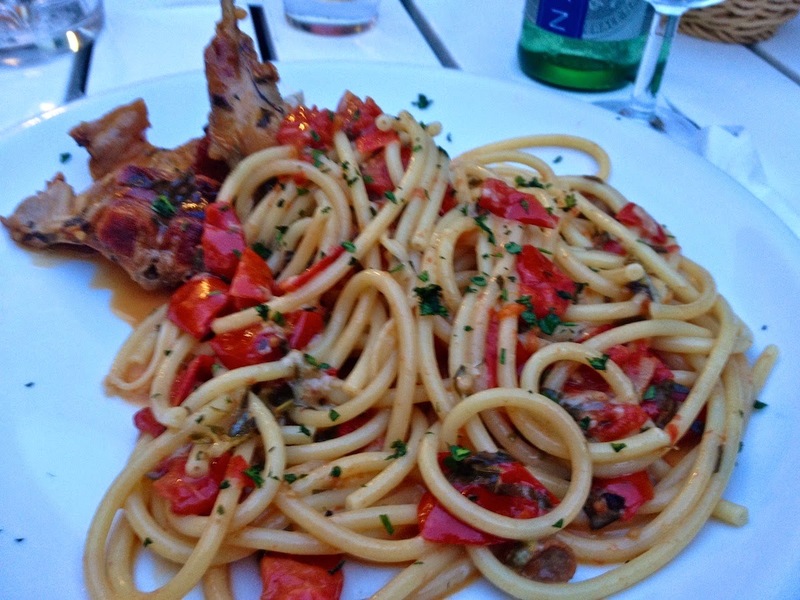 Most of the Ischian restaurants offer a great variety of pizza and pasta and of course seafood (Spaghetti alle Vongole! Yummy! ), but one major Ischian classic is the Coniglia all' Ischitana (Ischian rabbit), which you totally shouldn't miss in case you eat meat. And of course you'll have to eat Pizza Margaritha which got allegedly invented in Napoli, preferably with the wonderful mozzarella di buffala. Furthermore I can also really recommend the great variety of sweet delights that are offered: of course you get wonderful ice cream but in my opinion even greater are the Neapolitan pastries. I fall especially for the sfolgliatelle ricce, a kind of Danish pastry with a ricotta and lemon filling. Mhmmmm... Our new French friends Antoine (Tom) and Antoine also highly recommended the caffè del nonno, which is a kind of coffee frappé. 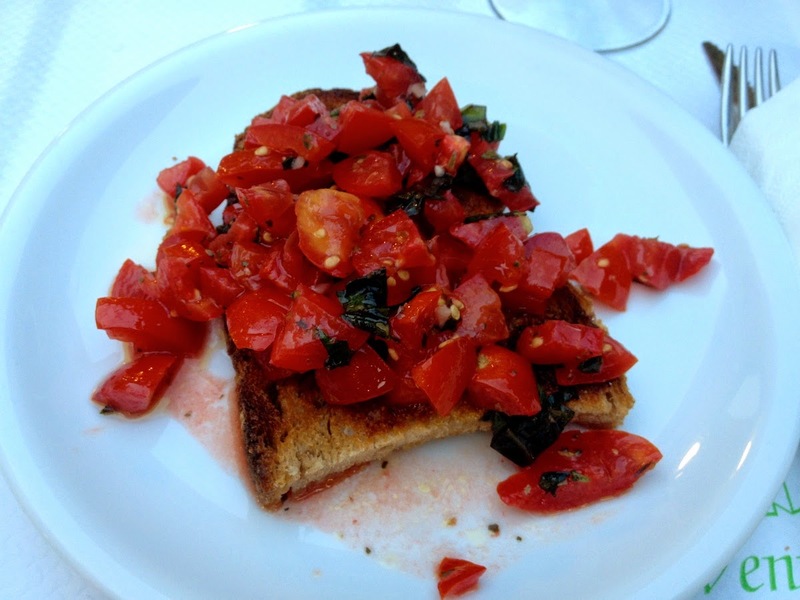 Le Ventarole: There I had really good Bruschetta and (really good) Buccatini con coniglio all'Ischitana. Pane & Vino in Via Porto in Ischia Porto and is a really good fish restaurant and is right beside the sea. 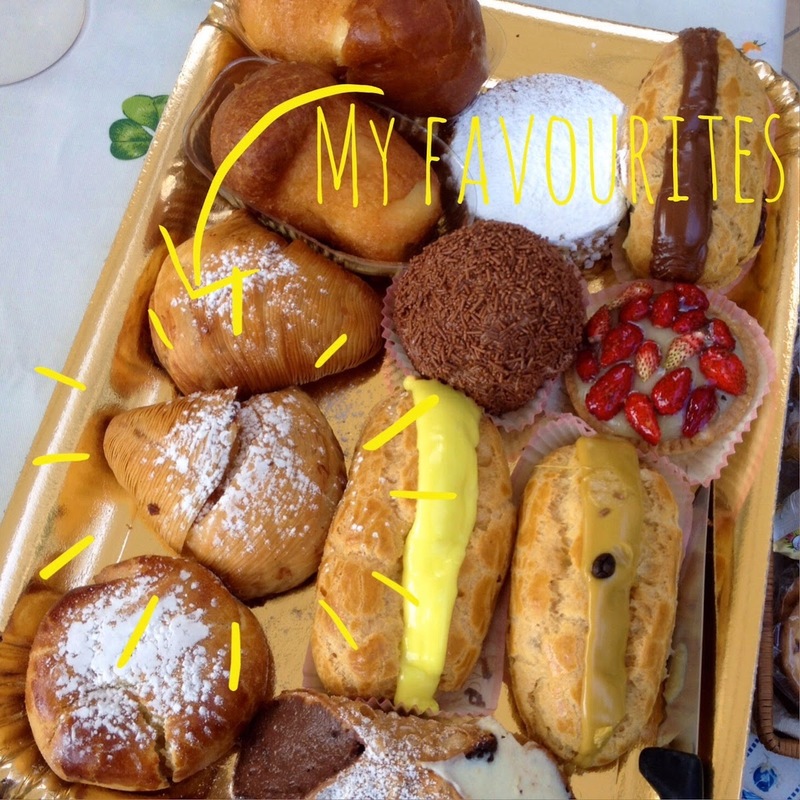 At Da Ciccio in Ischia Porto you'll get really good pastries and ice cream. 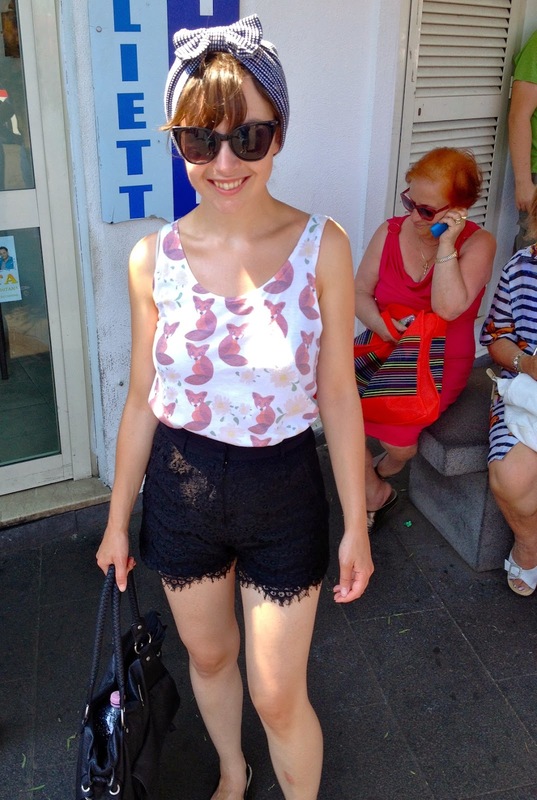 What I totally liked about Ischia in terms of clothes shopping was the fact that you hardly find branches of international brands but mostly small boutiques which reflect the personal taste of their owners in some ways. I didn't shop around the whole island but my favourite store in Ischia Porto was called Annasofia at Via Alfreddo de Lucca, where you can find many beautiful dresses and handbags and accessories (I helped myself to a beautiful white dress and some earrings). Furthermore I can recommend the Grifo Girl store near and the Silvian Heach shop on Via Roma. In addition there is one local brand called La Caprese Più which you will find all around the island and offers really beautiful clothes. However, I would only enter one of their branches if you calculated a generous shopping budget. If you are a book lover you should definitely enter the Libreria Imagaenaria in Ischia Ponte, where you can also get really beautiful vintage postcards from the early 20th century.